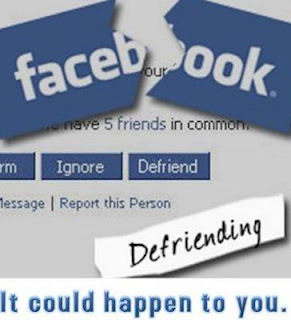 Receive Email notification when someone unfriend you on Facebook? Have you even up some day and logged into Facebook to find that you're one friend short than you were yesterday? Some of you might not even notice this, but for others, it is a big deal. Before Facebook, people used to compete with each other on Google's Orkut for the most amount of scraps. Now, some people compete for friends (I did that too, once long ago :P). Competitions aside, every Facebook friend and fan is extremely important to marketers. While there's no shortage of people to befriend from Facebook's inventory of 901 million, it is important to retain the ones you already have. These days, people tend to have friends in the hundreds. So if someone un-friends you, how would you know which of your 333 friends was it? Facebook doesn't send you any sort of notifications for this, nor do I think it ever has. So to track down that one deserter, you'll need a third party app called TwentyFeet. Now this app isn't like those scam apps we discussed in Facebook security tips, although there are some scams that will promise to track who unfriends you. Twenty Feet is free and can be linked to one Facebook and one Twitter account. For multiple profiles and business pages, you will have to go premium at $2.5 per year, which is a very fair deal in my opinion. Twenty Feet can only tell you who unfriended you after you've installed it. It won't tell you of any such activity before installation. This is because Facebook doesn't provide that kind of functionality that allows you to see who unfriended you in the past (although it should have that!). How to see who unfriended you? How users Create Facebook Scam and let it go Viral?